Scientists have found that cookies and cracker sandwiches can harbor harmful bacteria such as salmonella for even six months. Their study was prompted by an increase in the number of food-borne illness outbreaks that are linked to low-water activity or dry foods. Larry Beuchat, researcher in the University of Georgia’s College of Agricultural and Environmental Sciences, who had lead the study, said that there has been an increase in the number of disease outbreaks that are linked to growth of foods that have a very dry environment. Beuchat and co-author of the study David Mann found that harmful bacteria can not only survive in dry foods such as cookies, but they can also live there for a really long time. The researchers had, for the study, used five different serotypes of salmonella that had earlier been isolated from foods involved in food-borne outbreaks earlier. Beuchat stressed that the isolates from foods that were very low in moisture content. 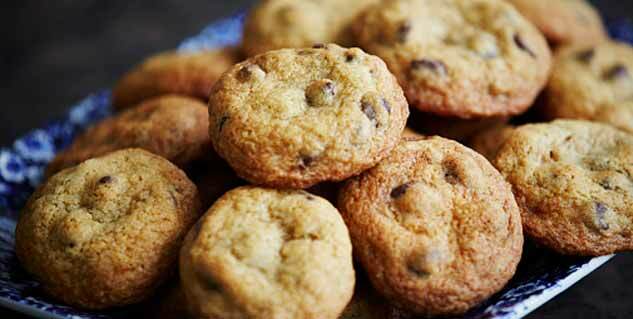 Researchers had put salmonella in four types of fillings that were found in cookies as well as crackers. These were then placed in storage. Researchers then used cheese and peanut butter fillings for the cracker sandwiches and chocolate and vanilla fillings for the cookie sandwiches. Beuchat further said that the samples were the kind that could be easily found at grocery stores or vending machines. The scientists had, after storing the samples determined how long salmonella was able to live in each filling. In some of the samples, the pathogen survived for at least 6 months in the sandwiches. Beuchat said that they did not expect the pathogen to survive for so long. The study was published in the Journal of Food Protection.